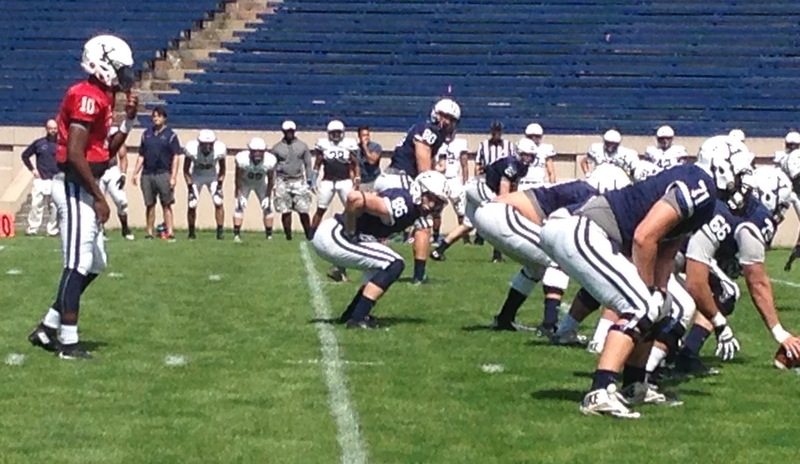 Great day for some spring football. Even had a little dustup at the end of practice. Get healthy, stay strong, go bulldogs !!!! Great to have you back. Please stick around. This will be the first team with four years of Reno recruits. We're very excited to see them healthy and hungry to pursue an Ivy championship. I agree, this upcoming season is one all Yale fans are anxiously awaiting. Is there any news from spring practices? What about any feedback on the QB battle? Is anyone ahead? How about the spots that will be vacated through graduation on our O-line? Any news on position battles would be great! Is anyone going to update us on things coming out of the spring? Crickets for a month. I know they are on break and all now. I just hope that when a week or so before camp starts that this blog is back up again. The truest of fans miss it!!! The list is now up on Yale’s website. It’s a shame that Dharamy didn’t make it. However the 29 freshman who did look very impressive. Does anyone know what's become of the Ivy League Sports Board? Any "Ivy discussion" at the AGS site gets lost in all the mountains of miscellaneous crap about schools which most of us care nothing about. Maybe Observer and Truth Teller can go out on a blind date. Any shot of this blog coming back again once camp starts? 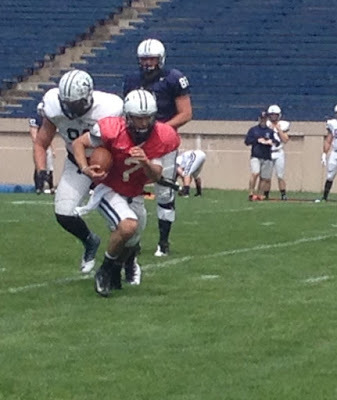 Any N H Register coverage of Yale football? I say the "interested" keep things going here. Camp begins tomorrow! Excited for 2016, GO BULLDOGS! Any word from anyone about camp? Daramy WR/DB/KO and more recently Andrew Grinde. The FR class was deep but these two were in the top 5 or 10. It's a damn shame that this year we had no forum for any scintillating conversations leading up to tomorrow's season and home opener. Since no one is making any predictions I figure I will start and throw a rock in this dead ocean to see if it makes any waves. The Bulldogs win a back and forth sloppy first game for the program with a 28-12 victory to get started. Any more takers? GO BULLDOGS!!! As I write this from my Seattle domicile, we are 0-3 in 2016. I attended the Colgate opener. It is hard to say what to make of what has happened this fall; one can point to Roberts' graduation, Bo Hines still not playing, two All-Ivy defensive players missing this year... but I think it is time I stopped "believing" in the college team I fell in love with 50 years ago, in 1966, when at 9 years old I saw Pete Doherty throw 5 TD's in one game to beat Columbia. I'm not going to stop following the Elis or rooting for them... but at some point one must realize these games are not life and death, and the Elis having another unbeaten season before I leave this earth is not of any paramount importance. Great post Bill!! This blog however is basically dead. Tune in to yalefb.com to cotinue talka about our struggling team, that most of us (like yourself) still fully support! Obviously the Register could care less about Yale football.